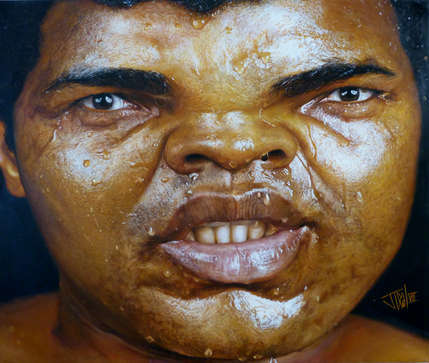 Ali, up close and personal. Master boxer and giant persona. Jota's first effort at doing a close in portrait, and it is an amazing piece.